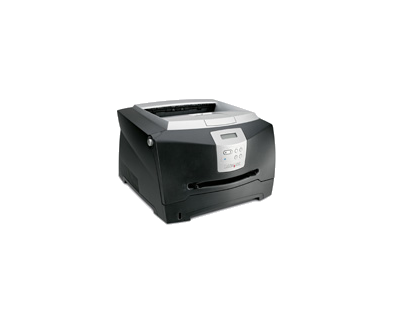 Small but powerful, the Lexmark E340 brings more speed and simplicity to personal printing, at a price that's as attractive as its sleek new design! With a price tag that’s as attractive as its sleek new design, the E340 makes a big impact on your results – not your budget. In fact, for even greater savings, you can count on the high-yield 6K aftermarket cartridges to drive down costs and significantly reduce intervention. In addition to its user-friendly buttons, the E340’s intuitive operator panel includes an LCD display with two lines of information. So you can understand and manage printing tasks in just a quick glance. Eliminate guesswork and maximise uptime. Since every business is different, Lexmark offers you options that fit your specific needs. Want more memory? You can expand it up to 160MB. Need to print from different sources and boost your input capacity? Opt for a second paper drawer that holds up to 550 sheets. The choices are plenty!